Help! I am a 24-year-old recent college graduate who is struggling to find full-time employment. I'm currently working full-time hours on a three-month contract that is going to expire at the end of the month. I received my Master's degree in Social Work and do not expect a high starting salary based upon the current market. My student loans from undergrad have been deferred while I was in grad school and my grad school loans are starting the repayment period. I have roughly $105,000 in student loans that include Federal Perkins, Stafford and Direct Plus graduate loans. 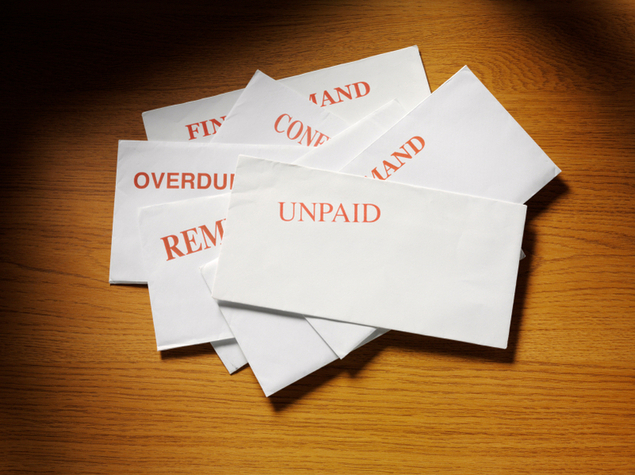 What would be the best method to handle the repayment options? — Leigh C. According to wage data from the Bureau of Labor Statistics, median income for social workers in May 2010 ranged from $38,600 to $51,500, depending on the type of work. Starting salaries are probably closer to the 25th percentile, which ranged from $30,870 to $37,550, but could be as low as the 10th percentile, which ranged from $25,210 to $29,460. Comparing these income figures with $100,000 in student loan debt yields a debt-to-income ratio between 2.0 and 4.2. A debt-to-income ratio over 1.0 is not recommended and anything over 1.5 is clearly an unaffordable debt level. Even with a 30-year extended repayment plan the monthly loan payments will likely exceed more than a quarter of gross income and perhaps as much as a third of gross income. That's like having a mortgage without owning a home. However, all is not lost. Social work is one of several occupations that qualify for public service loan forgiveness. Public service loan forgiveness works in conjunction with income-based repayment. Income-based repayment bases the monthly loan payment on a percentage of the borrower's discretionary income, as opposed to the amount owed. This can lead to a significant reduction in the monthly loan payment, usually yielding a monthly loan payment that is less than 10% of gross income. Normally the remaining loan balance is forgiven after 20 or 25 years of payments in the income-based repayment plan. However, borrowers who qualify for public service loan forgiveness will have the remaining loan balance forgiven after 10 years of full-time employment in a public service job while repaying the loans in the income-based repayment plan. The 120 monthly loan payments do not need to be consecutive. Only federal student loans, such as the Federal Perkins, Federal Stafford and Federal Grad PLUS loans, qualify for public service loan forgiveness. Private student loans and Federal Parent PLUS loans do not qualify. FinAid's income-based repayment calculator can help a borrower evaluate the details of his or her particular financial situation. The US Department of Education recently released an employment certification form that can be used to document service in a qualifying job. (See also the instructions and Dear Borrower Letter.) Although use of the employment certification form is not required, it is best to submit the form annually or after each change of employment to ensure that the qualifying service is properly recorded. Additional information about income-based repayment and public service loan forgiveness can be found on the FinAid web site.